MINIAC (Mignac, Mignaque, Minire, Deminiac), JEAN-PIERRE DE, Sulpician, priest, missionary, vicar general, and archdeacon; b. c. 1691 in the diocese of Rennes, France; d. 8 May 1771 in Names, France. Jean-Pierre de Miniac joined the Sulpicians on 23 Dec. 1717 and obtained a licence in utroque jure (civil and canon law). He arrived in Canada on 5 July 1722 and was put in charge of the parish of Saint-Laurent on Montreal Island, which belonged to the Séminaire de Saint-Sulpice. At the end of 1724 he was sent to the parish of Sainte-Trinité-de-Contrecœur, to which was attached the mission church at Saint-Ours. Miniac probably had a personal fortune, since he bought some land in the parish, including a lot of 17 acres. In September 1731 Bishop Dosquet brought him to Quebec and entrusted him with the office of vicar general for the region of Quebec in succession to Bertrand de Latour, although he did not receive his letters of appointment until 4 Sept. 1732. The choice surprised the chapter; its archdeacon, Eustache Chartier* de Lotbinière, a Canadian, had been expected to get this important office, since the Canadian clergy felt it was time they were invited to take part in the administration of the church in Canada. Miniac now lived at the Séminaire de Québec and assumed increasingly important roles in the ecclesiastical administration. From 1733 to 1736 he was confessor to the Ursulines. On 10 Sept. 1734 he received his benefice as a canon, and he was admitted to the chapter of the cathedral of Quebec on 26 Jan. 1735 as the official, succeeding Bernard-Joseph Boulanger who had resigned. During Bishop Dosquet’s prolonged absences, from 15 Oct. 1732 to 16 Aug. 1734 and from 19 Oct. 1735 until his resignation in March 1739, Miniac really directed the Canadian church, and the civil authorities had nothing but praise for the “wisdom and prudence” of his administration. On 5 Feb. 1739 he became archdeacon of the chapter of Quebec in consequence of Chartier de Lotbinière’s appointment as dean. On the day of Bishop François-Louis de Pourroy* de Lauberivière’s death, 20 Aug. 1740, the chapter, in accordance with ecclesiastical law, appointed Miniac vicar capitular for as long as the see was vacant. By October, however, he was involved in a dispute with the chapter over the appointment of a parish priest for Château-Richer. He planned to assign one of his friends, Abbé Roger-Chrétien Le Chasseur, to this parish; the chapter supported the incumbent, Louis-François Soupiran, a Canadian. The controversy again raised the question of the Canadianization of the clergy in New France. The case was brought before the provost court of Quebec, and just when Soupiran was intending to appeal to the Conseil Supérieur, Miniac took everyone by surprise by sailing unexpectedly for France. His departure, on 3 Nov. 1740, led the chapter to take away his powers both as vicar general and as vicar capitular. In Paris he met several prominent persons who were deeply concerned about the fate of the church in Canada, and one of them, Canon Pierre Hazeur de L’Orme, contended that Miniac was hoping to succeed Bishop Lauberivière, which may well have been true. After the appointment of Bishop Pontbriand [Dubreil*], Miniac hesitated before returning to Canada. He was back, however, in August 1742. The Canadian clergy seem to have been uneasy about the information Miniac might have given the new bishop about the situation of the church in Canada. Whatever the case may have been, that autumn Miniac was appointed vicar general for Acadia by Bishop Pontbriand, who counted on him to settle the problems disrupting that distant mission. An important witness to the difficulties that the church in Canada had just gone through was thus cleverly removed. Miniac left Quebec on 12 Sept. 1742 and reached Rivière-aux-Canards (near Canard, N.S.) after along and arduous trip. 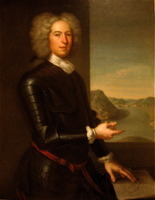 In the name of Governor Richard Philipps* of Nova Scotia, Paul Mascarene* raised difficulties in approving his appointment. Miniac would always be keenly aware of the difficult material conditions of his new position; nevertheless he behaved with great generosity during his exile and devoted himself to his task. At the time of the War of the Austrian Succession he did not conceal from his correspondents his fears about the military expeditions from Canada as a danger for the population. “I should consider it the final calamity for these settlers,” he wrote on 23 Sept. 1745, “if another armed party arrived from Canada.” Consequently it is not surprising that Intendant Hocquart and the minister of Marine, Maurepas, criticized Miniac’s conduct during that summer, as they did that of other missionaries, accusing them of being sympathetic towards the English. Bishop Pontbriand, however, vigorously defended the patriotic ardour of his Acadian priests, whose role in this period was ultimately ambiguous [see Claude-Jean-Baptiste Chauvreulx*]. In one and the same report, for example, Miniac sent information to the Canadian troops and obtained a pardon for an English prisoner named Newton. Miniac left his post in September 1749 and returned to France, aged, ill, and almost blind. After a short stay in Provence to recover his health, he retired to the community of Saint-Clément in Nantes. There he spent the last 20 years or so of his life, not without remaining in contact with his correspondents in Quebec, who managed the few pieces of property he yet had in Canada. He was, moreover, still archdeacon of the chapter of Quebec. An attempt was apparently made on 23 Oct. 1751 to force him to resign by taking away his prebend, but it was returned to him on 30 April 1753. 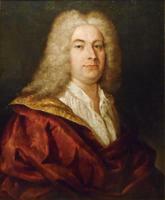 Jean-Pierre de Miniac died on 8 May 1771. Considered by some to be “harsh in his conduct and in his manner of expressing himself,” he had come close to playing a great role in the church in Canada. Circumstances allowed him to play only a small part on the troubled stage of the Acadian missions. AAQ, 12 A, A, 297v; B, 306v, 314, 315, 323, 325v; C, 170, 171; 22 A, II, 643; 10 B, 93v, 95v, 103v, 107, 110v, 126v, 127v, 144, 200v, 205v; 11 B, VI, 33; VII, 6; VIII, 58, 59, 60, 61; X, 13, 54; CD, Diocèse de Québec, II, 5, 172. AN, Col., B, 66, f.36; 68, f.53; 70, ff.16v, 24, 30, 31v, 42; 71, f.42v; 72, f.7; 74, f.24; 76, f.6; 81, f.64; C11A, 59, ff.163–66; 61, ff.65–70; 65, ff.28–30; 67, ff.110–13; 73, ff.5–8; 78, ff.407, 423–29; 80, ff.340–53; 82, f.326; 86, f.140; 89, f.255. ANQ-Q, NF 19, 80. ASQ, C 8, pp.226–29, 518, 519; C 9, p.181; C 10, p.17; Lettres, M, 95; S, 7a–p; T, 57, 59; Polygraphie, III, 61, 115; V, 26; VII, 2, 102, 102a, 103, 105–11, 113–19, 121, 122; IX, 29; XVII, 2, 112, 117; XXVI, 39b, 39g; Séminaire, 3, no. 51; 4, nos. 129b, 130, 131; 12, nos. 29, 29a, 29b; 14/6, nos. 3, 7. Coll. doc. inédits Canada et Amérique, I, 41–43; II, 10–75. Édits ord. (1854–56), II, 372. La Rue, “Lettres et mémoires” ANQ Rapport, 1935–36, 276–77, 301. Mandements des évêques de Québec (Têtu et Gagnon), I, 550–52. N.S. Archives, I, 319. Gauthier, Sulpitiana (1926), 234. Tanguay, Répertoire, 88 (copy annotated by the archivist of the Séminaire de Québec). H.-R. Casgrain, Les sulpiciens et les prêtres des Missions-étrangères en Acadie (1676–1762) (Québec, 1897), 343–417. A.-H. Gosselin, L’Église du Canada jusqu’à la Conquête, II, III. M.-A. Bernard, “Sainte-Trinité de Contrecœur,” BRH, IV (1898), 193. J.-E. Roy, “Notes sur Mgr de Lauberivière,” BRH, I (1895), 4–11. Têtu, “Le chapitre de la cathédrale,” BRH, XIV, 35, 76, 98, 105, 131–32, 145; XV, 14, 293; XVI, 7, 98, 138. Micheline D. Johnson, “MINIAC, JEAN-PIERRE DE,” in Dictionary of Canadian Biography, vol. 4, University of Toronto/Université Laval, 2003–, accessed April 24, 2019, http://www.biographi.ca/en/bio/miniac_jean_pierre_de_4E.html.